Today we received warm tidings from the south of France via Germany. 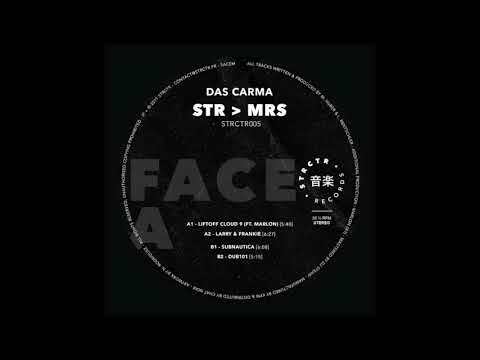 STRCTR Records is providing us with their fifth EP, a very deep escape into the rhythm, deep grooves, and loose cuts. The French label is becoming a little asset for the house scene as it works with names like Harrison BDP, Matthieu Faubourg and the latest, the duo ‘Das Carma‘. Upon discovering that they have a similar taste in music, the two producers behind Das Carma teamed up. They entered the game in 2013 and since then, they have been very passionate and productive producers over the years. Productive indeed. If you look at the number of recordings in 6 years: 124. On the upcoming 125th, the two producers showcase different styles and in our eyes release an EP full of “proper house music“ like they used to say. However, we are happy premiere their track “Liftoff Cloud 9” off of the forthcoming release. The track is a solid deep house tune which has sparkling highs and sweet chords which give us a light and airy feeling, both overtop a deep as you like bassline. A common side effect of this effective formula is excessive foot tapping. In the end, all there is to say is that they’ve done it again and delivered us some proper house music. If you already like Das Carma from previous releases, then this one won’t disappoint you and you should not hesitate to do a full exploration of their new EP. Be sure to grab your copy as soon as possible here or at the usual haunts.